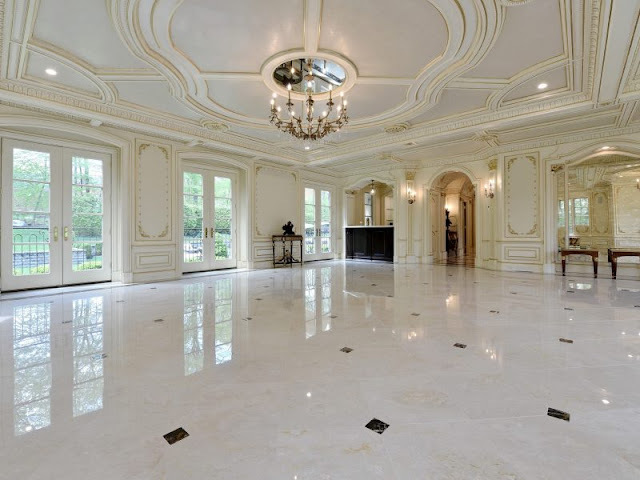 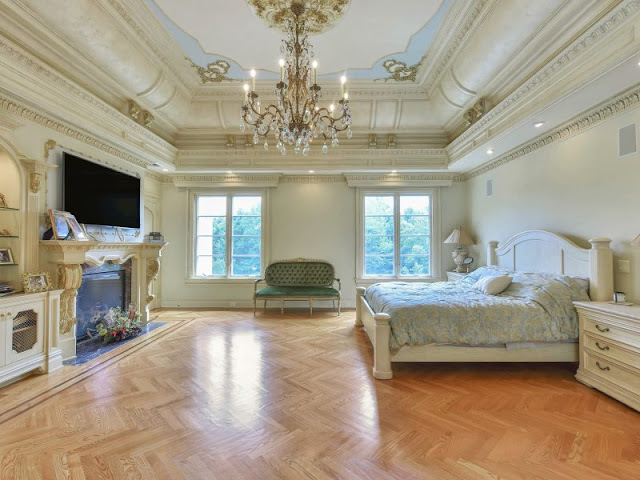 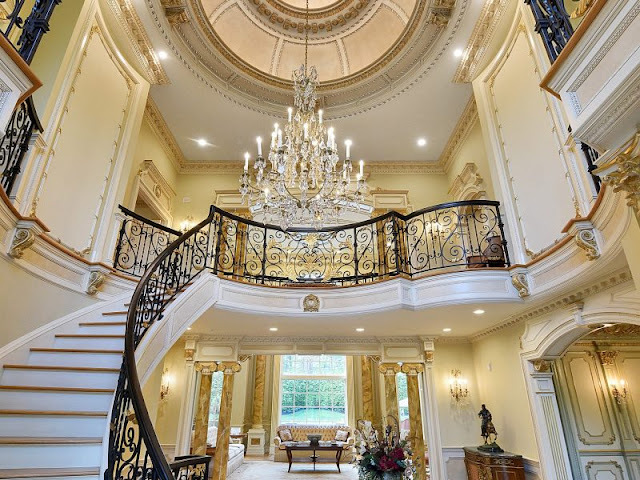 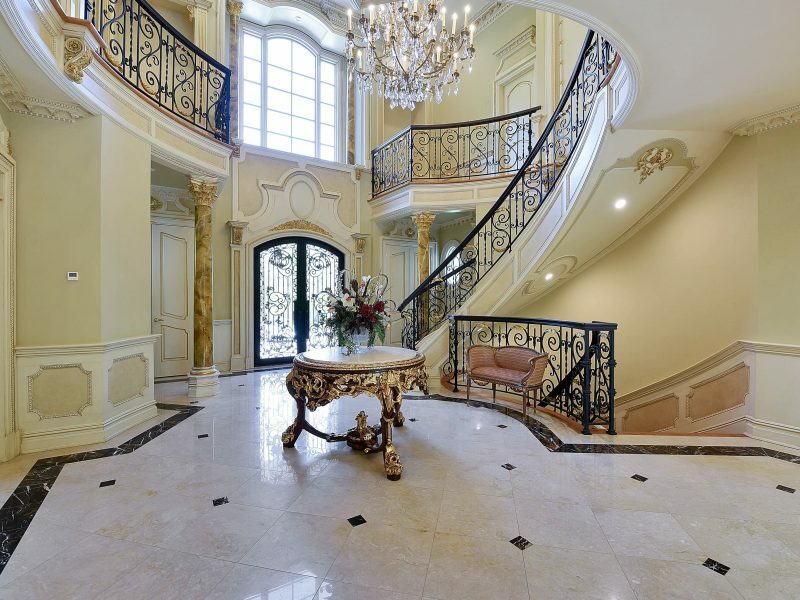 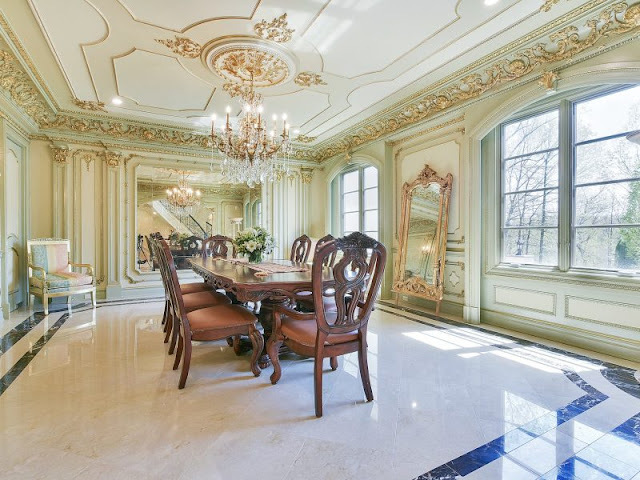 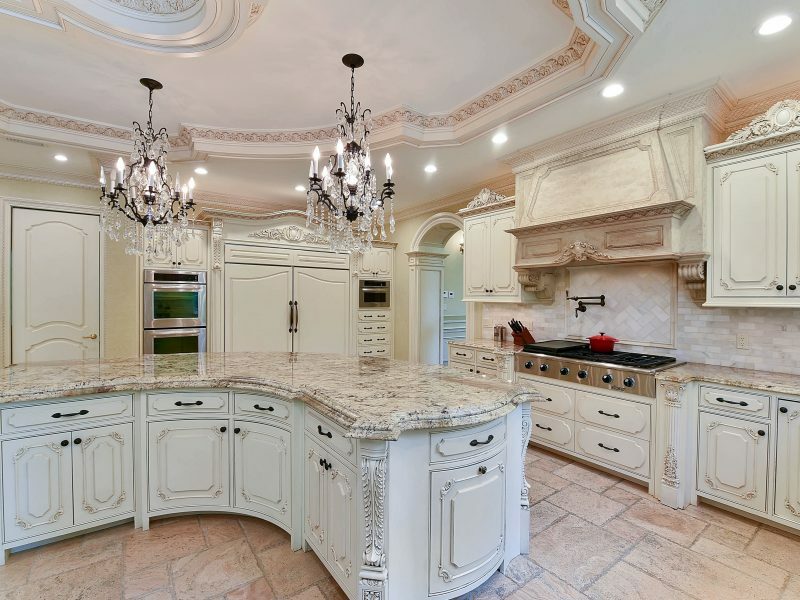 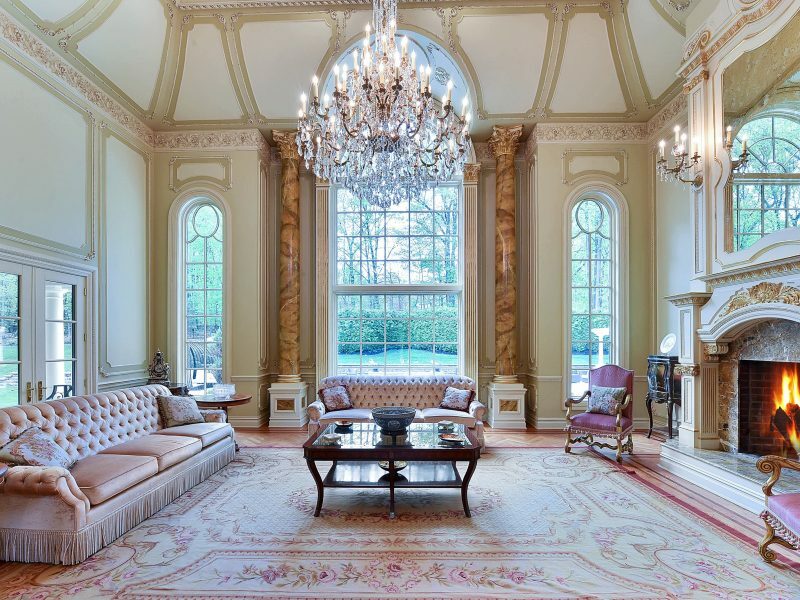 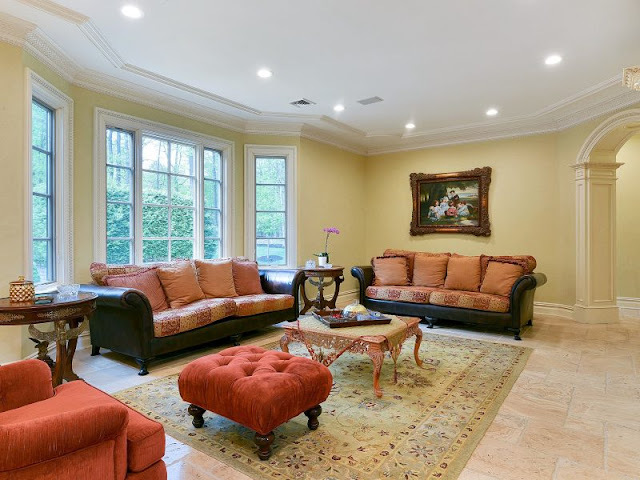 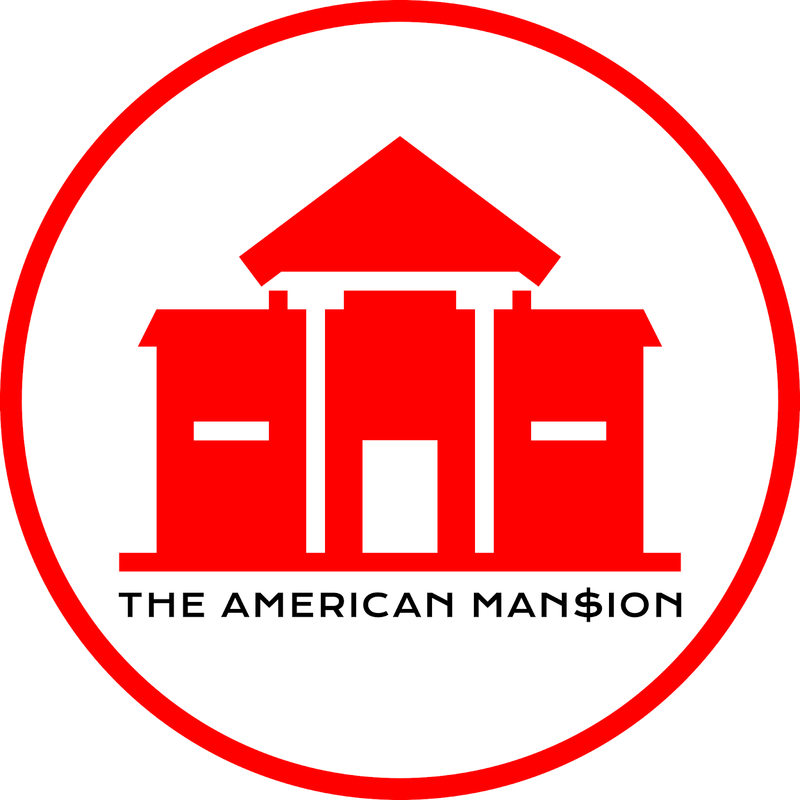 This French-style mansion in Saddle River, NJ was built in 1999 and situated on two acres of land. The stately home boasts museum-quality detail and features an estimated combined 12,000 square feet of living space with six bedrooms, eight full and two half bathrooms, a two-story rotunda-style foyer with floating staircase, elevator, two-story great room with fireplace, formal dining room, butler's pantry, gourmet kitchen with breakfast room, family room, wood-paneled home office with fireplace, a ballroom with wet bar and fireplace, and a three-car garage. 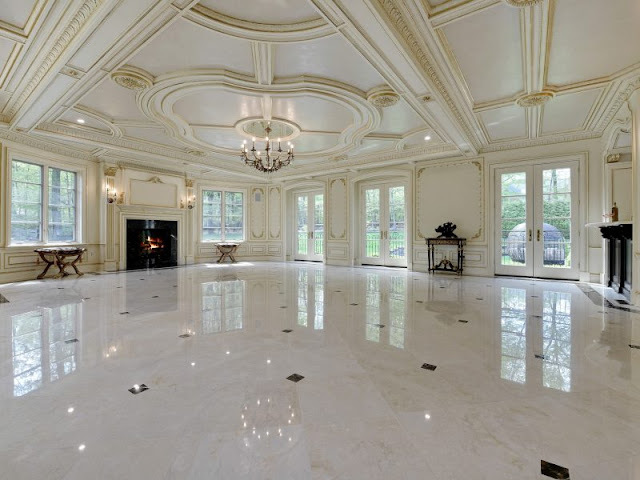 The expansive lower level includes a recreation room, home gym with sauna, second kitchen, and a soon-to-be finished home theater. 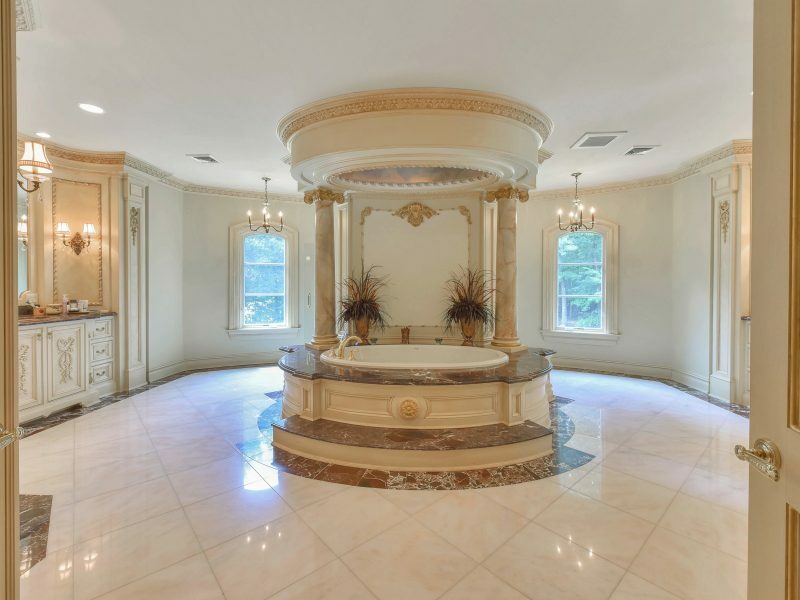 Outdoor features include a motor court, covered porches, terrace, patio, BBQ kitchen, and a swimming pool with spa and deck jets.